Now in its fifth year, the Brooklyn Nets Summer Basketball Camp powered by Dribbl, a New York City-based organization that helps kids learn the fundamentals of basketball, has become a Southampton mainstay. From August 27 through August 31, campers from pre-k to eighth grade will be able to partake in a week-long basketball program with hands-on instruction from Brooklyn Nets head coach Kenny Atkinson and player Jarrett Allen at the Southampton Town Recreation Center. 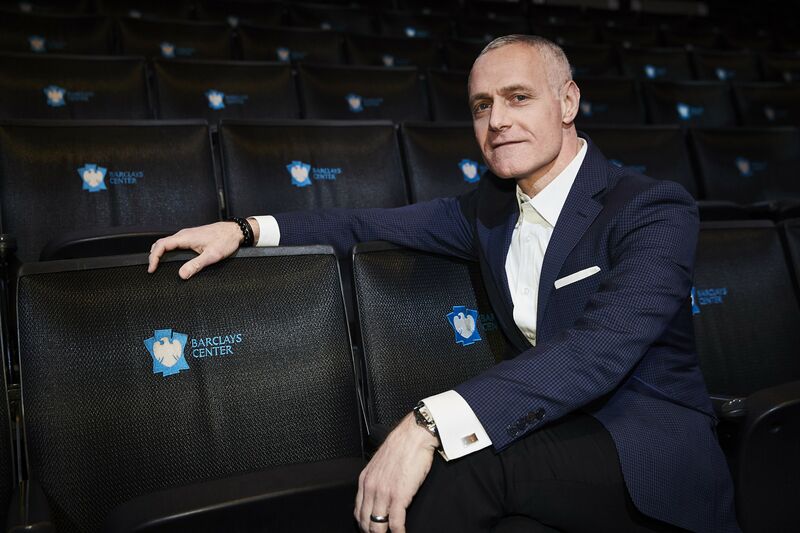 Brooklyn Nets CEO Brett Yormark chatted with us about the camp's success, five-year anniversary, and its potential expansion. For those not familiar with the Brooklyn Nets Summer Basketball Camp, tell us how it got started out here in the Hamptons. BRETT YORMARK: After our first or second year in Brooklyn, we wanted to extend the reach of the Nets and so many of our season ticket holders and fans do summer in and around the Hamptons, and we wanted to give them a chance to interface with our players and our coaches. The camp has been very well supported through the years and it has been a great way to connect with our fans during the summer months and out of season. We partnered with Dribbl, an organization that runs a lot of camps and clinics around New York, and together it has been a great venture. More than anything, we want to be in front of kids all summer long, doing camps in Brooklyn and around New York, and this is part of that initiative. And coach Kenny Atkinson, who is actually from Long Island, has been a big advocate of us being physical during the summer months as well, and he’ll be at the camp. Nets player Jarrett Allen will also be at the camp. How is Dribbl as a collaborator? I imagine they must work hand-in-hand with you on the summer program, no? BY: They’re in this business, and as much as we’re out there doing things in Brooklyn, they really know the market. They have a great staff and offer great instruction. And they get to interact with the kids during the winter months in New York City, so it’s a nice continuation of what they do. So it was an ideal partnership and we’ve been with them since day one. What should kids who attend the camp anticipate getting out of it? BY: I think, first and foremost, campers go there for the personalized instruction with a great staff that includes Nets players and coach Kenny. But it’s not just about that, we’re also teaching them life lessons on sportsmanship and teamwork, and some of the cultural aspects of the Brooklyn Nets basketball. When you think about how our coach addresses our players every day about working hard, being committed—those things are being passed along to the campers at the camp. I went to camp as a youngster and seeing some of your mentors and favorite players exactly how it’s done, is very inspiring. I think the kids get a lot from it. Again, it’s not just about playing on the floor, but these other moments that I do think create a great experience. The biggest validation for us is that they keep coming back, and we have repeat campers as well as new ones. After five successful years in the East End, do you anticipate bringing the camp to different parts of the city or Long Island? BY: It’s a good question. We’re running different programs around Brooklyn and New York as part of our community outreach youth basketball initiative, but it’s interesting. I have discussed with the coach how we can expand it and grow it, and it’s certainly under consideration. I think the five-year mark is a good time to consider all the different options. Youth basketball is very important to us, whether it’s the camp in the Hamptons or one of out programs in Brooklyn. Fan development at early stages is critical for us, and doing it through youth basketball and teaching the game is a big part of our marketing efforts in general. Brooklyn Nets Hamptons Basketball Camp powered by Dribbl takes place August 27 through August 31 at Southampton Town Recreation Center, 1370A Majors Path, Southampton; visit activekids.com to register.